These hundred years were probably the bloodiest in Irish history with three major wars; The Nine Years War, The Confederate/Cromwellian Wars and the Jacobite/Williamite War. Something in the region f 20-40% of the population was swept away by the Cromwellian Wars of the 1640s and 50s. Warfare was on a scale never before or since since seen in Ireland. In 1690, 60,000 armed men faced each other across a river fording at the Battle of the Boyne. In 1691, at the Siege of Athlone, the town was bombarded for 10 days at a rate of one round a minute. The outcome of the wars was equally momentous, all but destroying the old Catholic landed class and installing in their place the “Protestant Ascendancy”. Alongside, this, the old Gaelic language, landholding system and legal system were all displaced by English models. Societies that can successfully impose their will on others by violence win. They write the history books. It’s their culture that pre-dominates. Our popular memory recalls some aspects of this bloody century and not others. The Battle of Dungan’s Hill (1647), for instance, in which an Irish Confederate Army was massacred by an English Parliamentarian force, is all but forgotten. The Battle of the Boyne, fought only some 30 km away, in 1690 is still commemorated every year. The importance of warfare for understanding the Irish past. The escalation of war-making in the 1600s. How could a footsoldier survive a 17th century battle? What made some troops stand and fight and others run away? What was it like being a civilian in a war-torn country? Why do we remember some parts of this history and not others? For an excellent collection of articles about Ireland’s participation in the Civil Wars of the 1640s, see the Irish archive of this website. Written by: John_Dorney on 19 May, 2010.on 13 July, 2018. 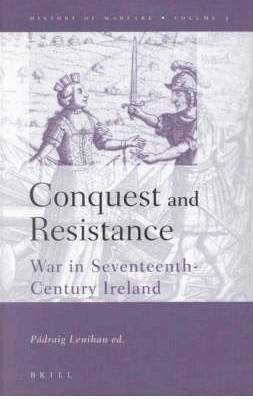 2 Responses to "War in 17th Century Ireland"